The rotator cuff is one of the most frequent causes of shoulder pain. It is composed of four muscles that help move the arm. Those muscles then form four tendons. Tendons are structures that connect muscles to bones. Because there are four tendons, a damaged rotator cuff can cause pain anywhere in the shoulder. The most frequent locations for pain are the front of the shoulder, side of the arm, and front of the arm. Pain can occur at rest or with particular movements. It is common to have pain when reaching for things or lifting the arm overhead. The reason for the pain can be irritation (inflammation), a tear, or both. Like all of the structures in the body, a good blood supply is critical. Blood delivers the oxygen and nutrients that your body uses to repair itself. 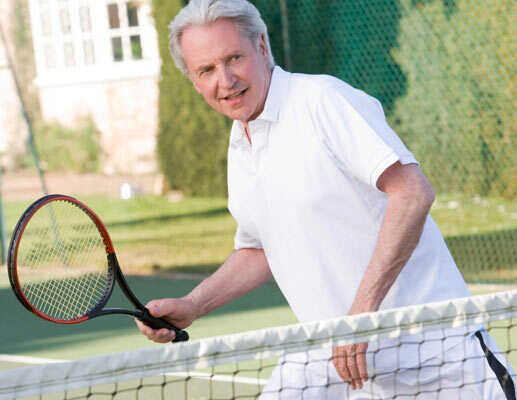 The rotator cuff's blood supply decreases with age. Therefore, degenerative conditions of the rotator cuff become more common as you age. There are two basic conditions; tendinosis and tendinitis. Tendinosis is a chronic condition where the damage is at the cellular level. It can be seen on an MRI (Magnetic Resonance Imaging). Tendinitis is an acute (sudden) inflammation of the tendon. Both can be painful. If enough damage occurs from either condition the tendon can tear. Tears of the rotator cuff come in all shapes and sizes. It is important to remember that not all tears are the same. The most common tear is called a partial thickness tear. This means that part of the tendon is still attached. It can be as painful, and frequently more painful, than a full tear. A full tear (full thickness) means that at least one of the rotator cuff tendons has completely detached from the humerus (ball). Some rotator cuff tears are small. These tears can be painful, but still allow you to lift your arm. When the tear affects more than one tendon it is more likely to limit your strength. Unfortunately, once the rotator cuff completely detaches from the bone, it can retract (migrate, move, snap). This is a progressive process in the majority of people, meaning the tear will get larger over time. Once the rotator cuff detaches from the bone, its muscle begins to turn into fat from the resulting inactivity. This cannot be reversed. Therefore, any changes that occur after the tear are permanent. In addition, once the tear gets big enough, it becomes impossible to lift the arm. Most patients with partial thickness and small full thickness rotator cuff tears will undergo a course of physical therapy. Physical therapy is designed to strengthen the portions of the rotator cuff that are attached. In addition, it can strengthen some of the other muscles around the shoulder. Cortisone injections are often beneficial in helping to control the pain and inflammation during the rehabilitation process. Some people also elect to undergo platelet rich plasma therapy (PRP). You can read more about these alternatives under “Injections” in our “Non Surgical Options” section. If there is continued pain, weakness, and loss of function, partial and small full thickness rotator cuff tears require repair. Medium to large rotator cuff tears frequently undergo repair. However, the decision to proceed with surgery to address any size rotator cuff tear is always made after considering a number of factors. These include: pain, loss of function, weakness, other medical problems, age, activity level, x-rays, MRI, and a discussion about the risks, benefits and alternatives of the procedure. Fortunately, the rotator cuff can be repaired arthroscopically through 3-5 tiny incisions. In the following section, we include a brief discussion about anesthesia because we feel it is a critical, and an often overlooked component in surgery. Anesthesia has evolved from a time when it was enough to put the patient asleep for a procedure and then wake them up. Today, anesthesia is much more complex. In addition, orthopedic surgery is unique, and the skills required of the anesthesiologist are different than some of the other surgical specialties. One of the fundamental principles guiding modern day orthopedic surgery is early mobilization (getting patients out of bed and moving). We know that the incidence of complications (blood clots, pneumonia, nausea) is decreased when patients begin walking as soon as possible. Anesthesia plays a critical role in this. The more general anesthesia someone receives, the more likely they are to be tired, dizzy, and nauseous. The more pain someone has, the less likely they are to want to get out of bed. We have worked very hard to decrease the amount of general anesthesia patients receive. In order to achieve this, we select anesthesiologists who are experienced in orthopedic surgery and the latest nerve block techniques. Currently this involves the use of special ultrasound machines that assist with the placement of a needle close to the nerves that control pain in the area of the surgery. An anesthetic is then injected and numbs the arm or leg. This technique allows the anesthesiologist to use less anesthesia during the surgery, decreasing nausea as well as the post-operative requirements for narcotics. These nerve blocks can last up to 24 hours. After the selection of the type of anesthesia, a diagnostic arthroscopy is performed. Any other conditions are identified in the shoulder. These conditions are then addressed. The rotator cuff is then repaired using sutures and tiny anchors to hold the rotator cuff to the bone. The procedure is typically done as an outpatient and therapy is started within the first week. In our practice, all rotator cuff repairs are performed arthroscopically. If the rotator cuff tear is present for a long enough period of time, the muscle may turn into fat. Once this occurs, it is permanent. In addition, longstanding rotator cuff tears tend to retract (move). They become contracted (stiff) and very difficult to fix. Although we are experienced with repairing large retracted rotator cuff tears using arthroscopic techniques, after a certain point a rotator cuff repair is not possible. In these situations, the reverse total shoulder replacement is often the best option. A rotator cuff tear that has been present for too long, where the muscle has atrophied (turned into fat). Once this occurs, it can't change back into muscle. A rotator cuff tear which was fixed but the repair didn't work. Patients who have continued pain or weakness after a shoulder surgery, particularly a rotator cuff repair, should be evaluated to see if the repair healed. Patients who have been told, "there is nothing further that can be done for your shoulder,” are sometimes candidates for the reverse total shoulder replacement. For those patients it can be a positive life altering option. What is involved with this procedure? In a traditional shoulder replacement, the ball and socket are replaced. In a reverse total shoulder replacement, the ball and socket are still replaced. However, the ball is placed on the socket side, and the socket is placed on the ball side. Does that sound strange? Well, that's what most surgeons thought when it was first conceived and designed. Fortunately, it was developed, because prior to its introduction we did not have a solution for many of the most complex conditions that were causing pain and disability in the shoulder. Today the reverse total shoulder replacement is used for irreparable rotator cuff tears, failed rotator cuff repairs, complex fractures of the shoulder, shoulder malunions (fractured shoulders that healed with deformity), and arthritis associated with rotator cuff tears. We have been performing reverse total shoulder replacement in Arizona since 2006. We accept referrals from all over Arizona and other states for complex shoulder conditions including those that require reverse total shoulder replacement.